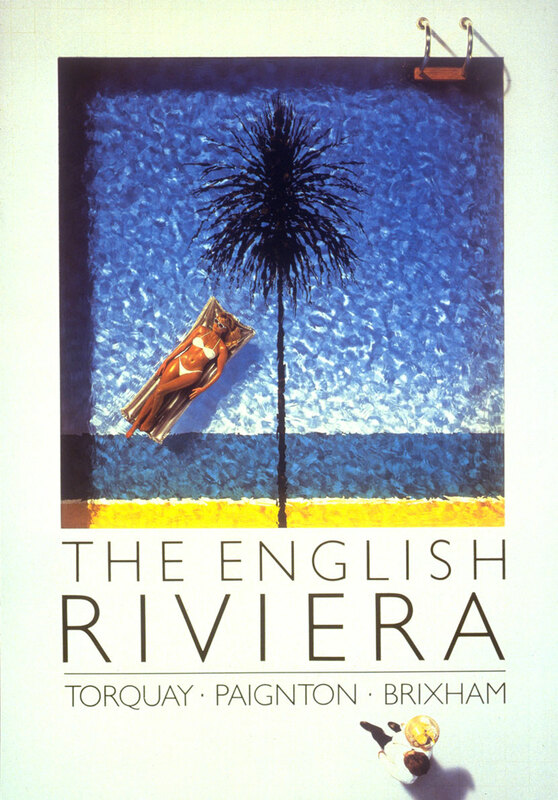 One of several posters designed by David Hughes in this long-running campaign for The English Riviera. Like the ‘Tate by Tube’ poster featured elsewhere in this section, the now-iconic campaign for The English Riviera has gained fame far beyond its original expectations. 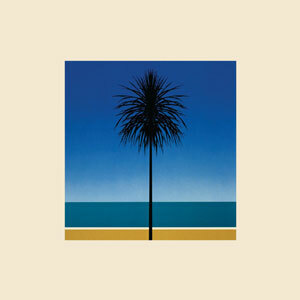 In fact, a variation of the original campaign poster, using the palm tree device initially developed by John Gorham, has recently been used as cover art for local-band Metronomy’s album ‘English Riviera’. The palm tree image has also spawned a host of imitations throughout the world. Now what was that about imitation being the sincerest form of flattery? Unfortunately, despite its creative success and significant contribution to the success of this Devon resort for many years, it is no longer used in the advertising and branding for Torquay, Paignton and Brixham. But The English Riviera palm trees still exist. A strange thing to see aspects of your back catalogue re-surfacing out of context. Metronomy’s take on The English Riviera (above) lifts the collective name given to the three resorts of Torquay, Paignton and Brixham (something we helped re-introduce through an overhaul of their marketing and advertising through Travis Dale many, many years ago). Great to see it picked up again after all these years.